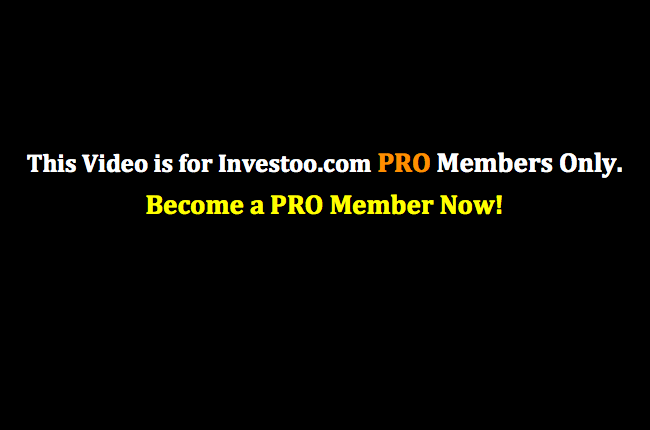 Hey traders, welcome to Video 18 of the Advanced Forex Strategy course. This is Cory Mitchell. In this video, we are going to look at an indicator called the Parabolic SAR. This is an advanced strategy using this indicator. We can use it on all timeframes, but preferably we’re going to use it on one power or longer. Brought to you by investoo.com. So trend training is where the money is. The parabolic SAR provides entries and exits into these trends, but it is up to us to read the overall price action and determine when and in which direction to take entry signals. This is why it’s coming later in the course is that basically in order to really use an indicator well, we don’t want to rely on it as a lot of very basic strategies teach. Instead we want to understand the indicator and be able to determine when the signals it provides are valid for training. So it’s up to us to read the overall price action and to determine when and in which direction to take those signals. The entry may occur a bit too late with the SAR which is a bit of its downfall. Therefore, we are going to utilize the other methods that we’ve learned in prior videos for entry. The SAR for an exit acts as a trailing stop and allows for a lot of profit on a strong trend, so whereas in most of the videos I looked at ways using 1.6, 2.6, 3.6, for example, to get out of your trades. This way we’re just going to let it run until the SAR stops itself. So this is a different exit method basically for some strong moves, and you can use it if you like, or you can continue to use the other method of just taking profits at set targets. If we read the price action well, we have the potential for big rewards, although our reward to risk is unknown at the start of the trade so we’re going to put out a stop. But since we’re letting the indicator determine when we get out of a profitable trade, we do not know what our reward is so we can’t say our reward is three to one or four to one at the start of the trade, we don’t know. It could end up being 15 to 1, we just don’t know. Short timeframe such as the 1.5 and 15 minute charts can cause too many false signals. Therefore I prefer using this on an hourly chart or longer, because the trends seem to be a bit more reliable. Okay, the parabolic SAR is an indicator that appears directly on a chart and not above or below. It’s right on the chart creating dots above and below the price bars. When the dots are above the bars, the trends are down, and when the dots are below the price bar, the trend is up. It’s almost like a moving average moving below the price when the trend is up, and moving above the price bars when the trend is down. On their own these signals are very unreliable. You’ll see them flip back and forth constantly because they’re short-term signals. So if the trend is down on a pullback when the price moves up, those dots are going to move to the bottom. But that doesn’t mean that the trend is up, it just means the current movement is to the upside. But this is where we have to interject using what we know about trends and say I’m not going to take that by- signal because the overall trend is down. So when the dots move from the bottom to the top, it indicates a potential down move is coming. From the bottom to the top a potential up move is coming. These are traditionally used as entry points, but we can do better by incorporating everything else we have already learned about entries. Therefore the SAR is mostly going to be used as a way to exit within trades. Set a stop just outside your entry point according to the method used. We’ll discuss a few examples, but basically this is going to require knowledge of all of the prior videos. Overtime the dots move toward the price creating a type of trailing stop, so it’s a good way to exit positions, and we know it will eventually get stopped out with this SAR, so we just continually move our price target to where the last SAR dot is until we’re stopped out on our profitable trade. So the NAS USD, I got a four-hour chart up. It had some pretty good trending moves and so it provides a good example of what we’re going to be looking at. So this is the indicator here, just a series of dots. You can see when the price is moving overall, and a bit of a down move here, the dots are above. When the price is moving higher, the dots move to the bottom side. So you’ll see the switch here and above and then they move two below. Above and then on this bar, it switches to above once we break through those highs. So as you can see, if you just took these signals, some of them look pretty good in hindsight, you could have sold there and bought back here. But you have also these little false moves. We really want to decide when we’re going to use this indicator. So I’ve drawn a few trend channels on here. As you can see, these are not… I’m not too worried about perfection, these trend lines hitting the exact highs and lows. Basically it tells me where the top of these channels are if you go back to the channel trading video. So here, overall trend is up. So we are only looking for bi-signals and preferably we want bi-signals near this trend line once we know that it’s here. So at this point, we add a sharp move down here. This would actually be something that we’d be looking for, probably some more potential downside with a snapback strategy or kind of a cup and handle look here. So we would expect this to continue to the downside, but we can see that the price does not go anywhere. We would expect it to move lower after this pause, it doesn’t, recall velocity and magnitude videos. So the price just does not go. We’re equally matched by buying again, strong buying again, so strong pause here, potential long signal here. As we can see, we make it a little bit high. This parabolic SAR is telling us the dots drop to the bottom indicating buying pressure. For that we have created a new high over these bars here. So we can see we popped above little resistance level here. So this is a potential long trade, but we would not use the SAR, we would have to use some other method. For this one we can use the pocket strategy. So this is like a very short term low, price pulls back, pops back up, and we can look for a trade back into this pocket here. So as the price moves back up, we’d be looking for a pullback and then a continuation higher, which if we got, we probably would have gotten it filled on this bar here and expecting that continuation higher. This trade is held if we use the SAR as our exit. Until the price drops below which at the same time will mean the dot moves above. So we can see on this bar here, the price moves below that dot which means this dot moves to the top. So that is our exit bar right there. In this case, you are going to have to wait for the bar to complete. This is probably one of the only times that we’re going to do that. If you see that this is a very aggressive bar and it’s already dropped through the dots, so during about mid-day or in the middle of this four hour bar, you would have known that the price is well below this dot. So you would have been stopped if you would have moved your stock to that level. So as you’re in that trade, you’ll move your stop continually each four hours to the new dot, progress, move it up, move it up so that you’re eventually stopped out right at this level here. So you would have been able to profit a lot more from this move and by using this fixed target strategy that we’ve looked at in other videos. It won’t always work out that way. If this had fallen back right here, it might not have worked out as well. But when we have a strong move, it’s going to work very well. The trend is up. Therefore even though this one worked out very well, it collapsed right back down, it is not a short trade that we want to be taking because the trend is up. So we’re expecting a pullback. We don’t know it’s going to be this big and then a move higher again. So we don’t want to consider shorts in this overall uptrend. Here we have some resistant support established here. Even though the price is dropping very aggressively, looking at it back to velocity and magnitude, there is a lot of velocity and magnitude here which we covered in Video 17, but it’s not quite as much as this prior move, because we don’t make it all the way to the former low, so we still have to consider this trend up. We don’t want to consider the snap back strategy quite yet because we’re making a high or low. Also we can see a very strong move here, a small pullback, but this next move down has nowhere near the magnitude of the prior wave so that selling is significantly slowing. Once we have this move up, we can look for some other short of entry, whether it’s just a breakout of the area which in this case, it would have likely been, because we had no real pullback. So if we’re looking for a breakout in this area, and we would continue to hold until the SAR eventually stops itself. As we move our stop up, we move it up with each one of these dots every four hours moving it up until eventually we are stopped out right there as this big red bar drops through our stop and would get us out of the trade. So this is why our risk and reward are unknown. Our reward is unknown because we do not know when this will actually be triggered. If this just continues to run higher, we’re just going to continue to push our stop higher, and higher, and higher. Our initial stop will be whatever the entry method we’re using determines our stop should be. So if we’re just trading a breakout strategy like this, our stop will go about five pips below the low of the consolidation, if I can get a hold of that thing. For the pullback strategy or pocket strategy, it’s going to go below the former low, so we’re looking to get in on a pullback on this move into this pocket. So this [inaudible 00:12:32] we’re looking to a pullback into this pocket here which we got. And we put our stop just before the former low. As soon as the price is moving in our direction, we start to move the stop with each of these dots as the bars complete until eventually we’re stopped out as we said. Once again, we’re moving in a trend high. We’re not looking for long positions up here now, because we have this channel established. We don’t want to take longs, because we are running out of room. Remember the trend channel trading strategy. We’re starting to run out of room up here, so even though we get some potential trades here, there is not a lot of upward room for the price to run based on this channel that we’ve now formed. So once we’re out of this first trade, we’re probably just going to sit back and do nothing with this pair until it either starts… until basically it comes all the way back down here, because we’re not going to take shorts, because the trend is up. But we also can’t take longs because the amount of room left up here isn’t big enough to warrant it. So we get this big pullback here. The overall trend is still up. We know that we’re moving in this channel a bit of an expanding range. So if we redraw these to reflect… We have a bit of a breakout here on the bottom. But as we said, we really don’t care if the price breaks our trend line, we want to be looking at the overall price action. We can see this was a pretty choppy down move if we’re looking at velocity and magnitude, so we’re mostly going to give the uptrend the benefit of the doubt. I will point out that once this starts to drop, we can take short signals. If we have sort of a nice down move like this, we can see it’s moving within a channel. So it could take some short signals here if we wanted to because we do have all of this room back to the down side. Because we’ve established a bit of a tendency for the price to be moving in this big expanding range so once it starts to drop, we’re going to assume it’s going to drop down to the low and then potentially bouncing back up towards the high which we see here. So we could take these entry methods. Here is one that would just be a standard trend trading strategy which we looked at way back in, I believe, Video 2. So it’s just a simple drop pullback consolidation drop. Our initial stop will go here, and then it would be continually dropped with each of these dots. So it starts up here and then continually drops with each of these dots until we are eventually stopped out down here. So in this case, it wouldn’t have been a very profitable trade getting in here and out right there. That’s one example where using our defined targets would have probably been more beneficial. Yet we don’t know exactly when and which trades are going to benefit from the SAR exit or our defined entry exit. So we just use one or the other. This is another option you can use. When you do have big wins, it can produce very big wins as we saw here. We can ride these waves for quite a while. Another one here. Strong bounce off the bottom, cup and handle or snap back strategy here where we have a bottoming out strong rally, will be looking to enter. So this one we can either do a breakout of the whole consolidation, or we can also look to, once we have a few bars that form here, we can try to get it near the lows of the consolidation. So this was one of the more advanced strategies covered in recent videos, so we can look to get in down here instead of waiting for the breakout up here. So we can get a very advantageous price for that next move higher, which we covered in the snapback strategy. And then we would continue to hold that trade all the way up to right there, would have been our last dot, and we would have been stopped. So we’re talking about quite a big trade here if we were able to pick up a long trade down in the bottom, close to 100 pips for that one. A strong down move again. Once we started to move down we’re expecting the price to continue down into this former channel, this channel low simply because we established this tendency for it to do so. So we can take some of these short signals in here, and then eventually we see the price breakdown, so we’re in a new trend. We’re looking mostly for shorts now using whatever methods from the former videos that we can use. We have trend trading, entry methods, consolidation, snapback-type strategies where we’re looking to pick the bottoms or tops of these consolidations. And the parabolic SAR just provides a way to trail our stops that on these big moves we can potentially reap some big profit potential. So it’s just another way to exit positions. So we’re going to place a stop right when we place our trade. This is based on the entry method taken, so it doesn’t have anything to do with the SAR right off the bat. We’re just going to use the other entry methods we’ve learned. Exit profitable trades when the SAR slips or moves through our SAR dot. So continually move your stop up with each SAR dot as we’re in the trade, and you’ll eventually get stopped out. Only risk 1% of your account as always and even a string of losses who significantly draw down your account. it is up to us to determine which entry signals to take and will require knowledge of velocity, magnitude, snapbacks, trend channels, false breakouts, all of the things we’ve covered in prior videos. So you’re basically incorporating it all to determine how you’re going to use this indicator. Trading [inaudible 00:19:42] stands the risk of loss. Only trade with capital that you can afford to lose. Make sure you go in. Test it with strategies in a demo account. See how it works for you. See if you prefer using fixed targets or if you like using the parabolic SAR. Decide on when, you don’t have to use this. You can always use the 1.6, 2.6, 3.6 if you like, which is what I mostly use. But you ultimately have to decide for yourself which one you’re going to use.